Ingleside Terraces was built in a wooded and scenic region of San Francisco and remains a very well preserved neighborhood, thanks to its small-town residential atmosphere. The streets in this neighborhood are wide, the homes are distinguished, the yards well-manicured — and the residents are all active homeowner association members. Most homes here are in the Edwardian style, but there is a notable amount of other architectural influence. The mostly single-family homes can be found in Craftsman, Spanish Colonial and Mediterranean styles as well with a handful of row house homes closer to the neighborhood’s southern border. The neighborhood was once the home of the famed Ingleside Racetrack that is thought to also be the location of the first automobile race in California at the turn of the century. It is also home to what is thought to be the world’s largest sundial, located on Entrada Court, which hosts the Annual Sundial Park Picnic featuring bicycle, chariot and wagon racing. 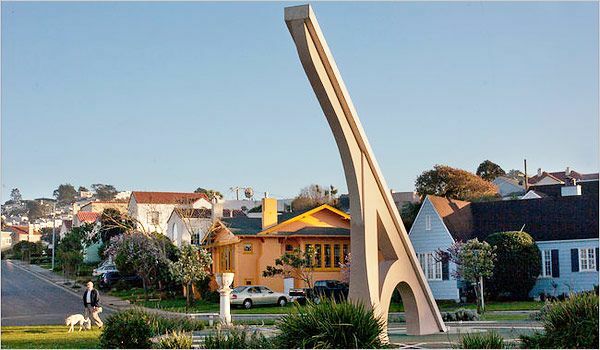 Ingleside Terraces is one of the eight master-planned residence parks in San Francisco that were created to replicate the feeling of suburban living in close proximity to downtown San Francisco. Inspired by the ideals of the City Beautiful and Garden City movements, Ingleside Terrace today reflects the original intentions, and remains a classic San Francisco neighborhood.